This is the first word I hear as I slowly awaken from my long, deep sleep. … and suddenly my quiet drifting world descends into a delirium of the fussing, fretting and fearful. The room floods with hysteria. This is no happy reunion. I don’t want to see any of them. I want my life back, but not like this. Not with these mindless fools who put me here in the first place. I’m awake now, but not just in the way they see. Breathe, Amy, breathe away this claustrophobic panic and descent into hell. A kindly voice of authority intervenes. Yes, mother, go! Go far away! Leave me alone! I close my eyes. Perhaps if I can’t see her, and the swarm of bottom feeders hovering about her, they won’t be there. “What’s happening? Why has she closed her eyes?” Every word out of my mother’s mouth a cloaked reprimand. The kind voice, once again. “But she’s been sleeping for three months! Someone needs to tell her about Boo,” says my moronic best friend, Miranda. Somehow what I did not see before is so clear to me now. She’s a gossiping, energy-sucking vampire disguised as a goody two-shoes. And what of Boo, my beautiful horse who, I realize now, I so horribly abused? All I want to do is put my arms around his graceful neck and tell him how sorry I am for everything. Is something wrong with my horse? I’m feeling suffocated now. Panic setting in. I’d rather die than deal with these people now. The voice of reason to my rescue as the oblivious still don’t get it. My needy, idiot boyfriend, Danny. It’s an act, of course. I’ve known he’s been having an affair for a long time, even before this happened. I hung in because I thought I could change him, but it was killing me inside. Thankfully, I’m not dead. But I wish he was. The gentle voice trails off as the small gaggle of misfits finally makes its noisy exit. No one even whispers goodbye to me. Just … oh god … the needy needing the needy arguing where they’ll go for supper. The kind voice speaks from above. She’s an angel in uniform. Her aura radiates a softness with which I am so unfamiliar tears spring into my eyes. “There, there, dear. We’ll sort it out. You’ll see.” With a soft cloth the angel dabs away the salty streams running into my ears. “Why did I have to wake up?” Words thought, but unspoken. Still, the angelic one reads my mind. I sigh a deep, quivering sigh. 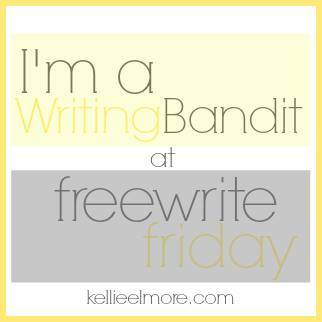 My response to this weeks free writing challenge from Kellie Elmore. I actually started writing this story some years ago. This is a fresh start based on themes already imagined. I see it as a kind of prologue before the telling of the story that got Amy into the hospital in the first place. Perhaps this will launch me into a re-write of the 40,000 or so words already penned? Who knows. You are so sweet. Thank you … 🙂 I guess it’s next on the list after the murder mystery. I have another 50k story waiting for attention too. Maybe I should start publishing as a serial. Hmmmm …. Whatever you decide to do and whatever form this takes, I am certain that it will be written. Already, the characters have taken shape. The back story is intriguing! Stay focused on your task at hand but do not let this piece go unwritten! That’s excellent. I think the idea is definitely worth pursuing. Wow. Just wow. Reading this took me back to my own hospital bed…I will have to share that someday.